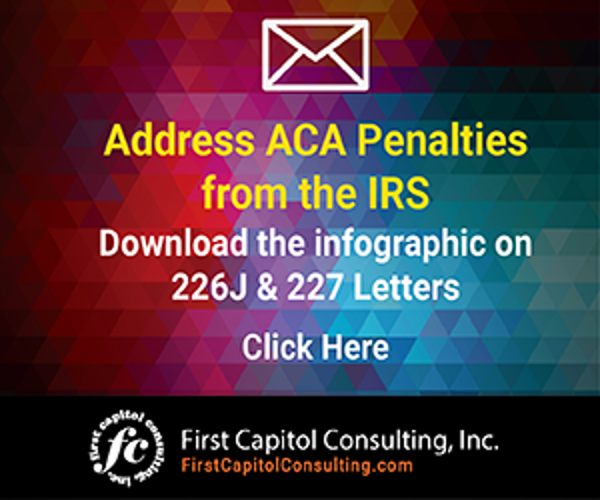 The IRS has increased the penalties for employers that do not comply with the ACA for the 2018 tax year. The Employer Shared Responsibility Payment for Failure to Offer Minimum Essential Coverage (MEC), will increase from $2,260 per employee in 2017 to $2,320 per employee in 2018. This penalty applies if (a) in any month in the tax year, Minimum Essential Coverage (MEC) is not offered to at least 95% of a company’s full-time employees (and their dependents), and (b) if at least one full-time employee receives the Premium Tax Credit (PTC) for purchasing coverage through the Marketplace. For example, if a company in 2018 has 300 full-time employees, and one of these employees receives a PTC for 12 months, the cost of this penalty would be $626,400 as compared to $610,200 in 2017. The per employee penalty is assessed against each of the 300 full-time employees, minus 30, even if only one employee receives a PTC. Employer Shared Responsibility Payment for Failure to Offer Coverage that Meets Affordability and Minimum Value (MV), will increase from $3,390 per employee in 2017 to $3,480 per employee in 2018. This penalty is assessed if the 4980H(a) does not apply. An employer can only receive either the (a) penalty or the (b) penalty, but not both. On a monthly basis, this penalty is assessed on every full-time employee that did not receive an offer of coverage or received such an offer, but the offer was either unaffordable or did not provide Minimum Value (MV) or both AND the employee received a PTC for that month. For example, an employer with 10 full-time employees who each received a PTC for six months would see an IRS penalty of $17,400 as compared to $16,950 in 2018. This applies to employers who do not file correct information returns for 2018. The penalty increases from $260 per return in 2017 to $270 per return in 2018. For example, if the return is not filed by the late filing deadline of August 1, 2019, the full penalty is assessed per applicable individual return not filed. For example, an employer who failed to file returns with 300 full-time employees would see an IRS penalty of $81,000 in 2018 as compared to $78,000 in 2017. 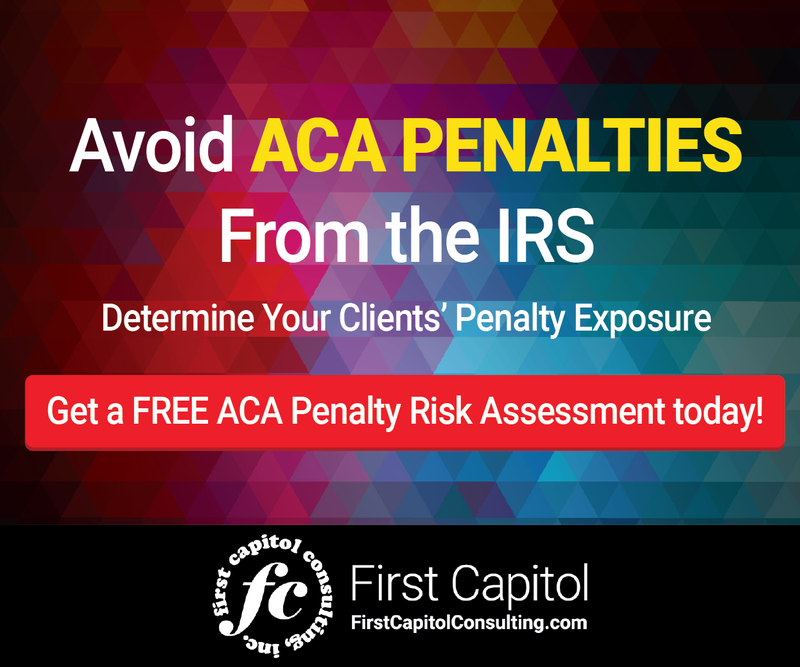 The penalty amount doubles if an employer’s failure to file rises to intentionally disregard. In this same example, an employer who intentionally did not file returns with 300 full-time employees would see an IRS penalty of $162,000 in 2018. This applies to employers who fail to provide correct 1095-C payee statements to employees. The penalty increases from $260 per return in 2017 to $270 per return in 2018. If the ACA-mandate health insurance information is not provided to employees by the deadlines established by the IRS, the penalties are assessed per applicable individual not receiving this information. For example, an employer who failed to provide 1095-C statements to 300 full-time employees would see an IRS penalty of $81,000 in 2018 as compared to $78,000 in 2017. The IRS is increasing its penalties for ACA non-compliance for the 2018 tax year.